What if we’re wrong about diabetes? 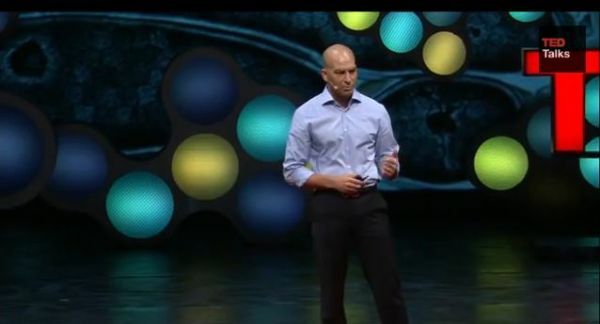 Surgeon and cancer researcher Peter Attia asks that question in this TED talk. Insulin determines whether the body will store or burn the calories it takes in. When cells become resistant to insulin, the insulin is unable to do its job properly. More calories get stored as fat and a person has a hard time keeping extra weight off. Most researchers believe that obesity is the cause of insulin resistance. Peter Attia wonders if that is backwards. What if insulin resistance is the cause of obesity? What if we should be looking for the cause of insulin resistance in order to improve people’s health? He suspects that our excessive consumption of refined grains and sugars is to blame. He is doing research to try to determine which comes first – the insulin resistance or the consumption of processed foods. If after assessing the facts you think this proposal has merit, please forward it to parents, students, teachers, principals and heads of schools, nurses, doctors, dentists and others involved in public health and education.